On June 7th, 2018 was held the grand opening of the first Major Exhibition Dedicated to Israeli Fashion in the Israel Museum in Jerusalem. We, the fashion activists, are thriving for this kind of exhibitions in Israel and therefore the opening night was filled with fashion gurus, designers and influences walking around with excitement experiencing the pioneering presentation on the origins of Israel’s globally-trendsetting fashion design. 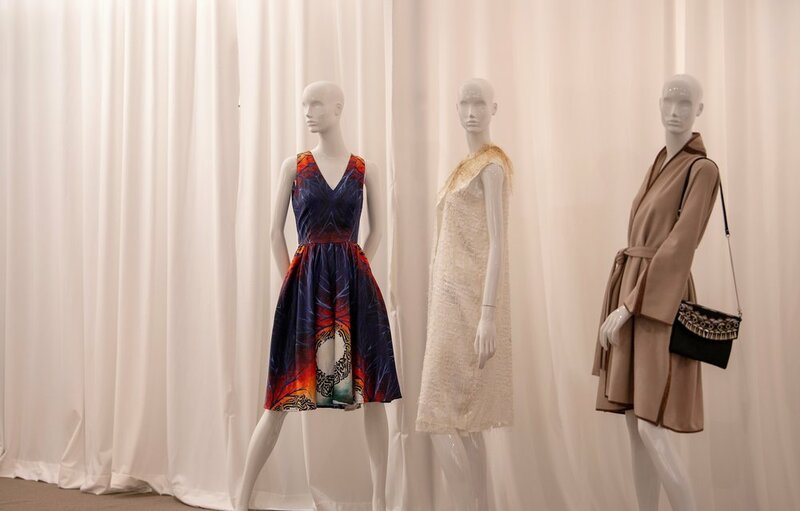 The curators illustrate a large scale-exhibition in the broad scope of fashion in Israel from its deep historical roots to contemporary collections. They chose to divide the fashion narrative into four main themes, thus in that way catalyzing deeper understanding of Israel’s fashion legacy and extending our commitment to providing a platform for the country’s breadth of creative expression by creating a provoking dialogue about tradition and modernity, myth and reality and conflicting ideologies. "Fashion Statement" explores fashion design from the late 19thcentury indigenous pre-Zionist “fashion,” through the opposing forces of Europeanism and Orientalism. These designs converged in the early decades of the state, from the phenomena of such leading industries and fashion houses as Gottex, Maskit and Rojy Ben-Joseph, to contemporary leading fashion designers with a global following. Holy/Land – Israel’s landscape and history serves as a shared source of inspiration for the many communities that coexist in the country. This section explores sartorial traditions from around the globe, showcasing the rich variety of local fashion, ranging from form-fitting European styles to wide and flowing Middle Eastern fashions. The outfits on view represent a variety of materials and meanings; they can be made out of the wool of local sheep or from silk imported from exotic lands; their colors run the gamut from soft desert hues to the vibrant tones of Central Asia; and while some emphasize national roots, others reflect personal stories that originate far away from Israel. The Kaffiyeh is charged with national and political meaning and story of its integration into, and the rejection from local fashion. reflects the evolution of the relations between Jews and Arabs in Israel. This place, which is sacred to the three monotheistic religions, has served as a constant source of inspiration for local fashion - from the use of colors, ornaments and symbols associated with religion, through a vibrant dialogue with the charateristics of religious fress and all the way to designs that smack of heresy. Austerity/Prosperity - the garments on display represent two sets of aesthetic ideals that differ with respect to design, manufacturing, marketing, and message. They derive from two opposing ideologies that coexisted in the early decades of the State – Socialism and Liberalism. ATA's utilitarian and monochromatic clothes, mass-produced and blurring differences of class and gender, represented socialist values. In contrast, urban wear retained the European style of couture and tailoring. Both approaches were rooted in Europe, drawing their ideas from Proletarian movements on the one hand and from the global fashion capitals on the other. 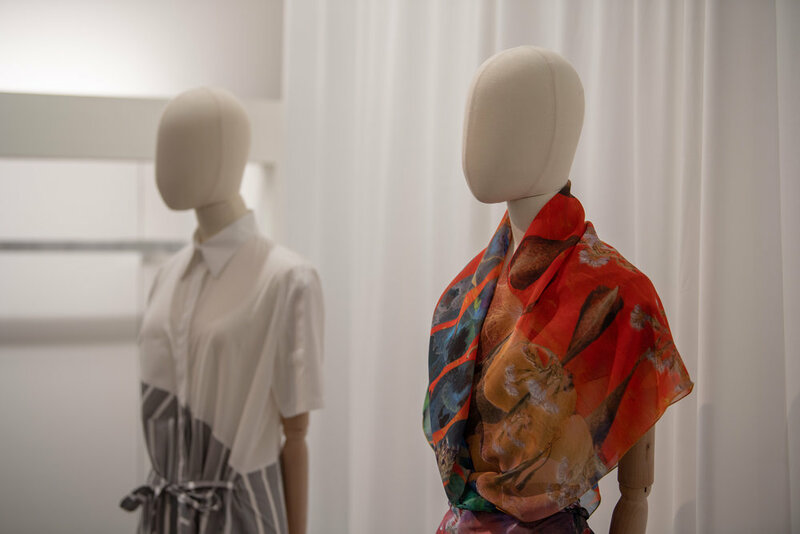 Made in Israel - this section showcases the two facets of the "made-in-Israel" brand: the fashion industry and independent fashion designers. Established in the 1930s, the Israeli fashion industry flourished to global acclaim in the 1960s and 1970s. Labels such as Gottex, Beged Or, and Polgat were known worldwide, and the clothes they produced were worn by such style icons as Jackie Kennedy Onassis and Sophia Loren. 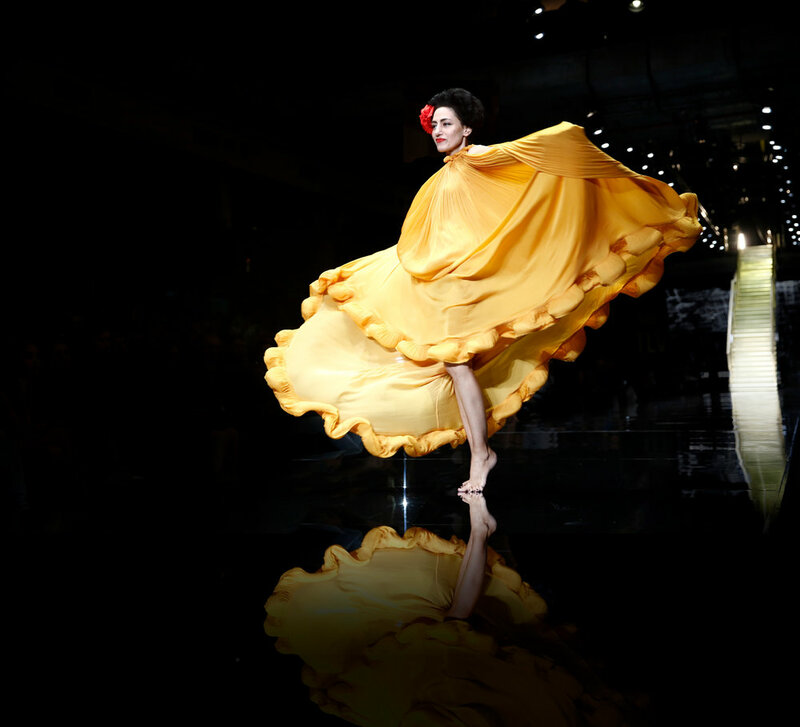 Extensive support from the government enabled hundreds of fashion houses to open and led to the establishment of Israel's Fashion Week in 1965 by the Export Institute, which aimed to transform Tel Aviv into a fashion capital that would draw professional buyers from all over the world. Fashion now - In 1983, Riki Ben-Ari, who has been called the "Oracle of fashion," predicted the revolution that would take place in the local fashion world, from mass-produced confection collections to signature designer creations. And indeed, the rules of the game have changed. The challenges faced by the industry today are multiple and include a lack of raw materials and skilled manpower, tough competition, and a small market in international terms. Yet at the same time designers have at their disposal a whole new range of tools. Many of them improvise, improving or producing new and unique materials. There are also innovative ways of reaching new markets. 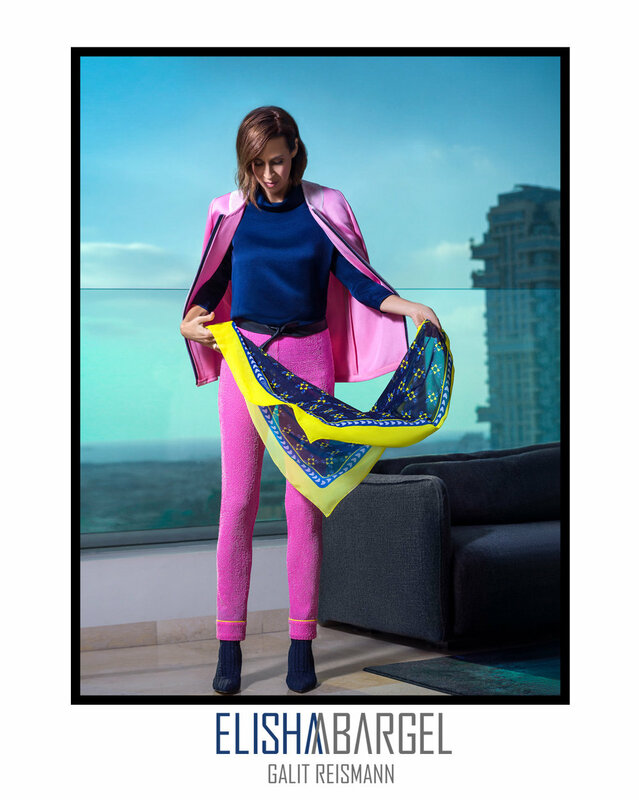 Each one of the designers whose work is shown in this section illuminates a different aspect of today's fashion industry in Israel, presenting a complex view of the relationship between local and global identity. They move between the poles of handicraft and cutting-edge technology, and some stretch the notion of material to its very limits. 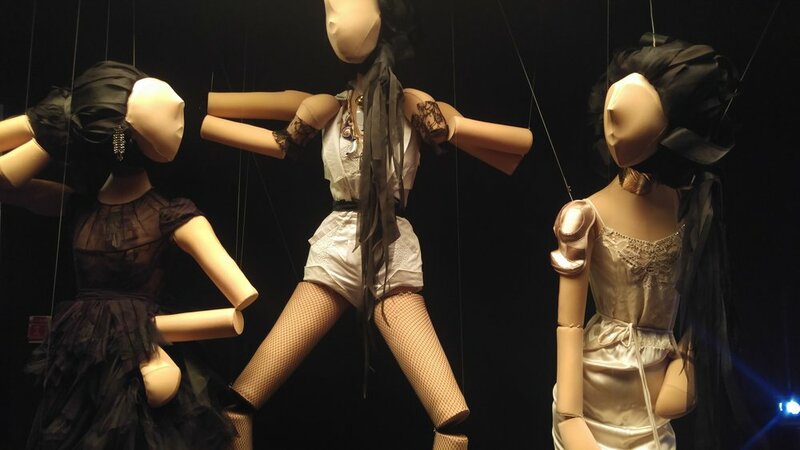 At times the garment serves as a canvas for social ideals, and at others it goes all the way from its original utilitarian purpose to being a true work of art. While the exhibition featured over 150 outfits and included religious and national symbolism with inspiration drawn from Israel’s landscapes and influence of encounters with a diverse range of traditional dress, both Jewish and Arab - I was happy to see more samples stories and samples from the current vivid industry that is raising and shaping its identity again, as well including some co-existence stories that are so important for the narrative of the middle east. 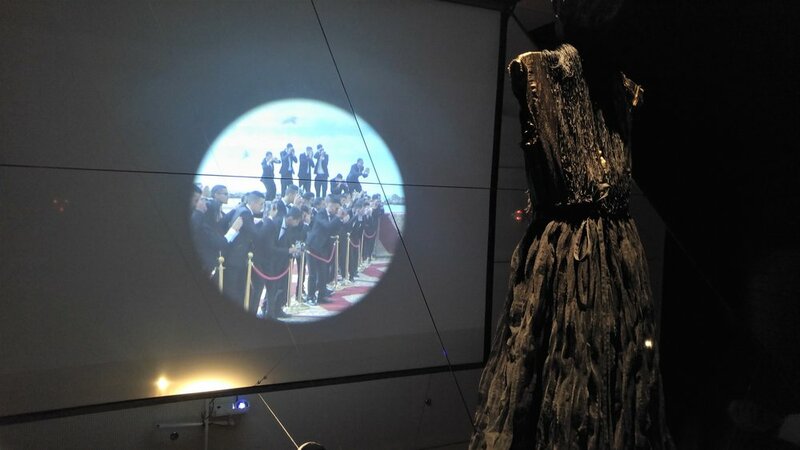 For any visitor, this exhibition was eye opening and shared a beautiful journey in our short but special story of the Israeli fashion industry. After this visit I welcome you to join one of my tours to deepen the conversation through private experiences in the designers studios and working spaces. Curators: Noga Eliash-Zalmanovich, Associate Curator, Stella Fischbach Department of Modern Art; Efrat Assaf-Shapira, Associate Curator in the Jack, Joseph, and Morton Mandel Wing for Jewish Art and Life; Curator-in-charge Daisy Raccah-Djivre, Chief Curator, the Jack, Joseph, and Morton Mandel Wing for Jewish Art and Life; and exhibition initiator and adviser Tamara Yovel-Jones, a leading fashion designer and educator in Israel. 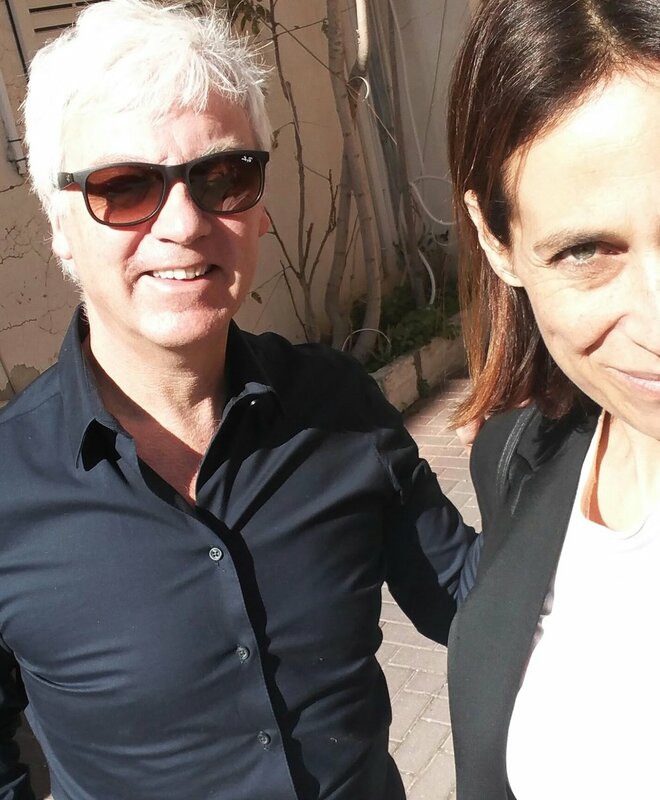 That moment I knew that my mission of TLVstyle continues in the right direction. I was filled with joy and fulfillment and couldn’t wait for our Skype call to confirm my arrival. The day of the event was set for May 14th. High season for the incoming tourism in Israel, yet I was happy to take advantage and choose in the other side of the world and that was so rewarded. 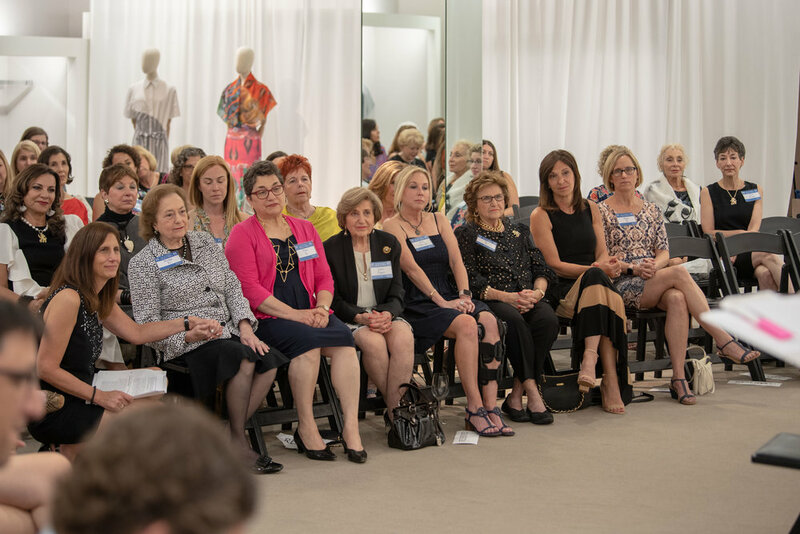 I was honored to give a talk about Israeli fashion front influential women while in the audience sits the honoring guest Marilyn Fox. 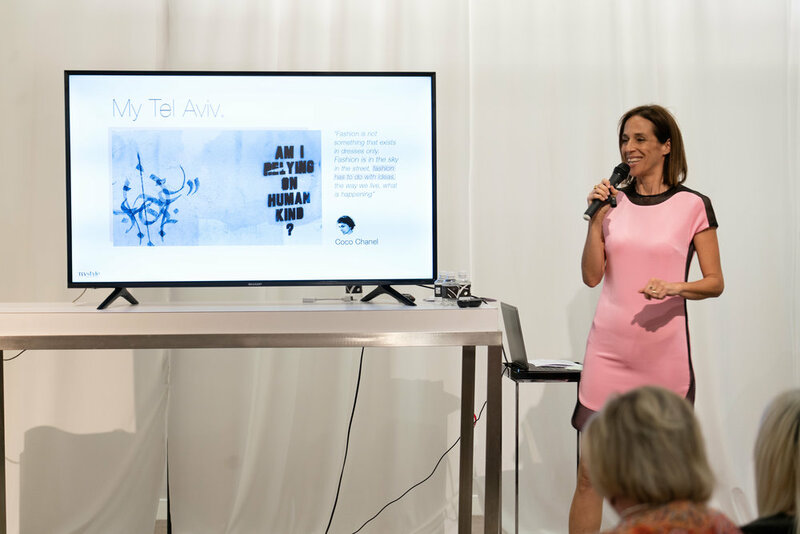 II was honored to give a talk about Israeli fashion front influential women while in the audience sits the honoring guest Marilyn Fox. That was very special for me to share my point of view on the Israeli fashion industry through my 12 years of experience, inside and outside Israel, with the focus on the six years of activity in the fashion tourism service and that since than be able to engage, educate and inspire my people with the story of the local fashion industry. I love to quote of Albert Einstein who once said: "Creativity is contagious, pass it on" and to have the privilege to pass my passion and knowledge to beautiful communities of Jewish women in the USA. Talking about the fashion history to nowadays values aside the challenges that are shaping the industry and allow it to become a unique hub of creativity filled with innovation of mindsets, materials and technologies. Israel fashion had and will have many faces for creation and success. Israel is an exhilarating blend of ancient cultures and cutting-edge innovation. It’s a lot about the human spirit and the fashion entrepreneurs. It’s about originality, approachable, grounded and brave designs. I see in the fashion story that can be parallel to the establishment of Israel. 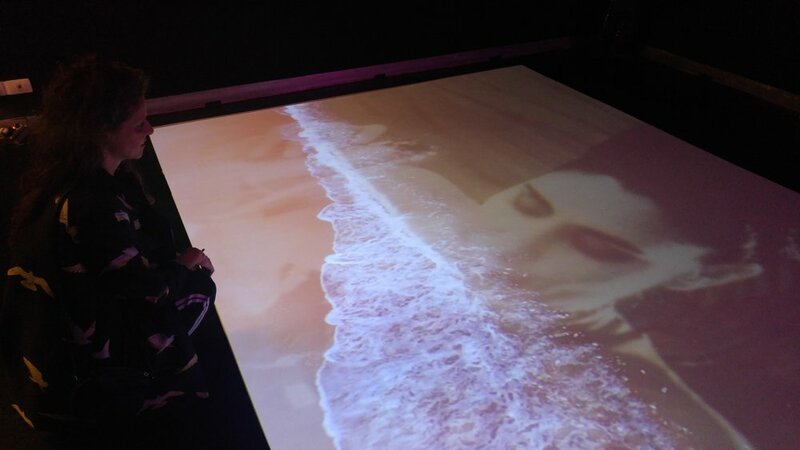 It is the story of the growth of creativity when everything comes together to a beautiful colorful HUMAN FABRIC. I enjoyed bringing stories to the audience who were all inspired and thankful, as well as I am. I was honored to be part of "Tel Aviv My Way" program last May – a special program of Birth Right that hosted hundreds of young Americas who experienced Tel Aviv through variety of angles. 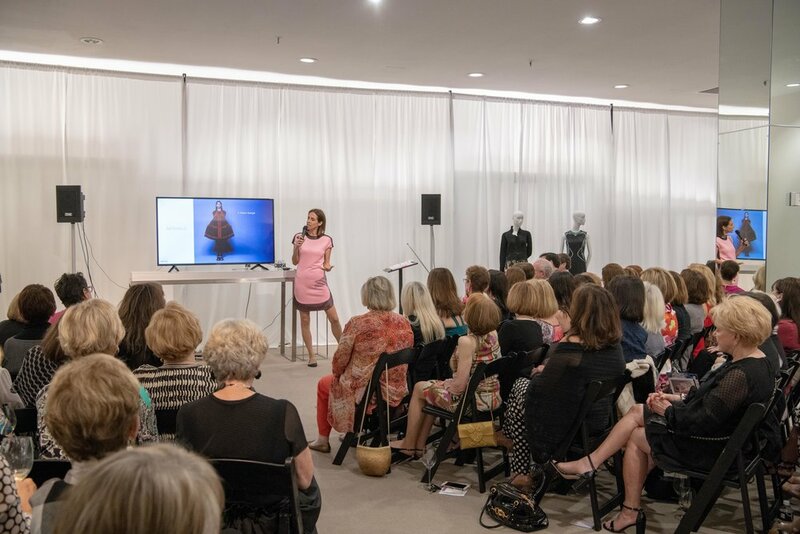 One of their options was to sign to a fashion experience and I was so pleased to give 9 lectures in overall to 500 Birth-Righters choosing to learn about the Israel fashion. It was important for me to build a presentation that will be dynamic and relevant to the young audience; however I couldn’t skip the history and chose to share the stories through entrepreneurs’ point of view and I loved to see them listening eagerly. I shared with them my point of view on innovation as part of the future of the fashion industry – not only through technologies, but ideas, forms and materials. I enlighten them with co-existence stories, the slow fashion growing movement and make sure all is rich with examples from our local emerging designer’s stories, defining the uniqueness of the DNA of our community and society.